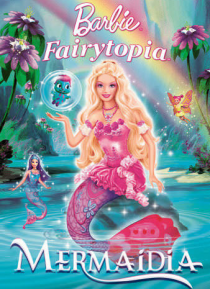 In this follow-up to Fairytopia, Elina (played by Barbie) travels to Mermaidia to save her friend Nalu, the merman Prince. Prince Nalu has been kidnapped in an attempt to learn the whereabouts of a special berry that will make Laverna the most powerful fairy in Fairytopia - even more powerful than the Enchantress! It's up to Elina to stop them, but she can't do it alone. She'll need the help of No… ri, a headstrong mermaid who doesn't trust outsiders and wants nothing to do with Elina.